OverviewThe first in a series of action/adventure games that allowed for multiple, diverting story paths and endings. 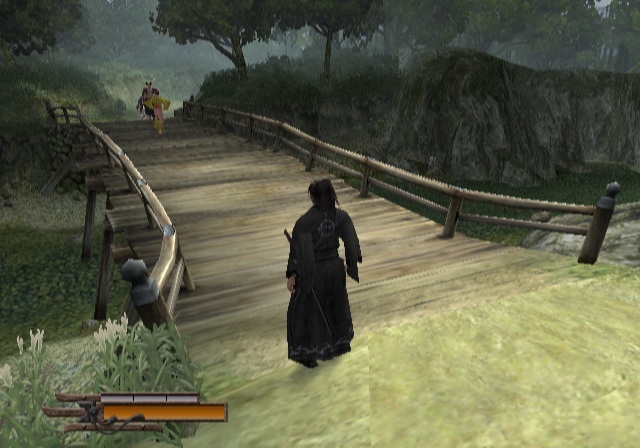 Swordplay is the primary focus, but, ultimately, the gameplay focuses on the choices made mostly through action and some speech options. Its brevity has been both lauded and criticized. Now you can add videos, screenshots, or other images (cover scans, disc scans, etc.) 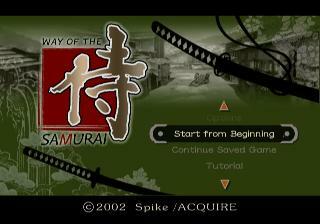 for Way of the Samurai (Europe) (En,Fr,De) to Emuparadise. Do it now! If you haven't noticed yet, we have a retro game of the day feature (top-right of the screen) wherein we feature a new retro title every single day! Now, you can vote for your favorite games and allow them to have their moment of glory. Click on the button below to nominate Way of the Samurai (Europe) (En,Fr,De) for Retro Game of the Day.